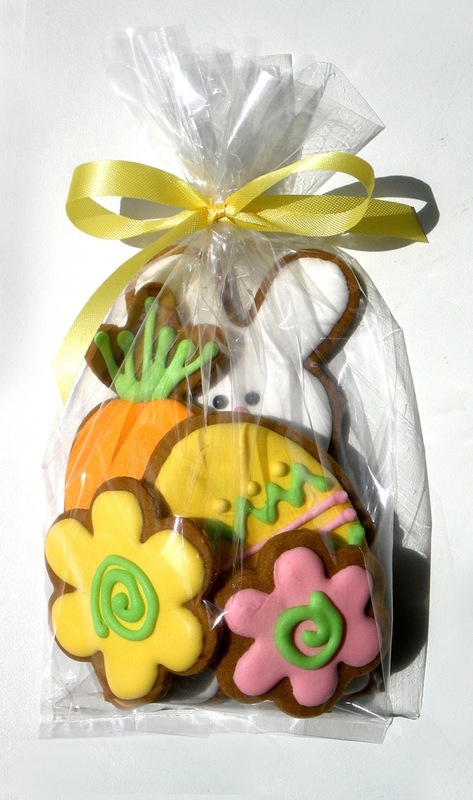 THE GINGER COOKIE: WHERE'S THE EASTER BUNNY? 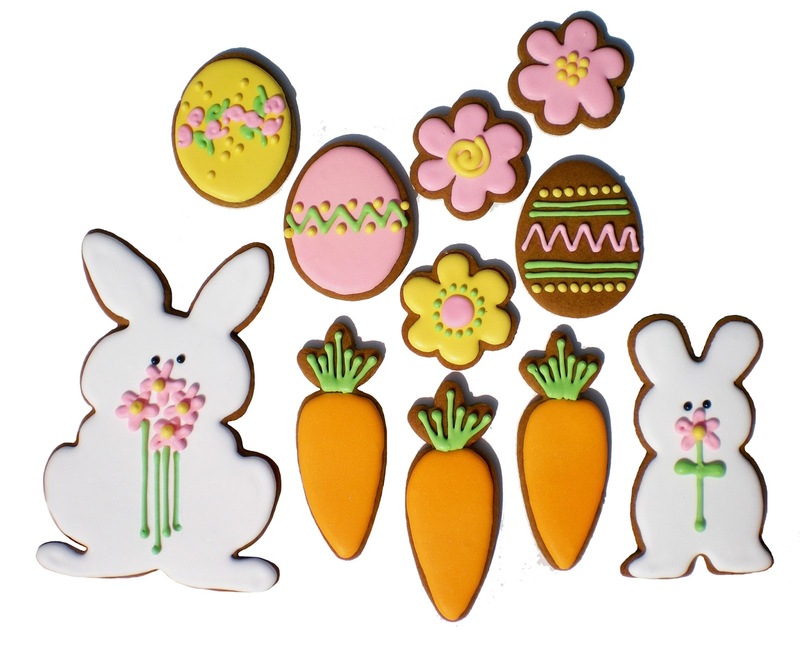 Spring is here but Easter is late! 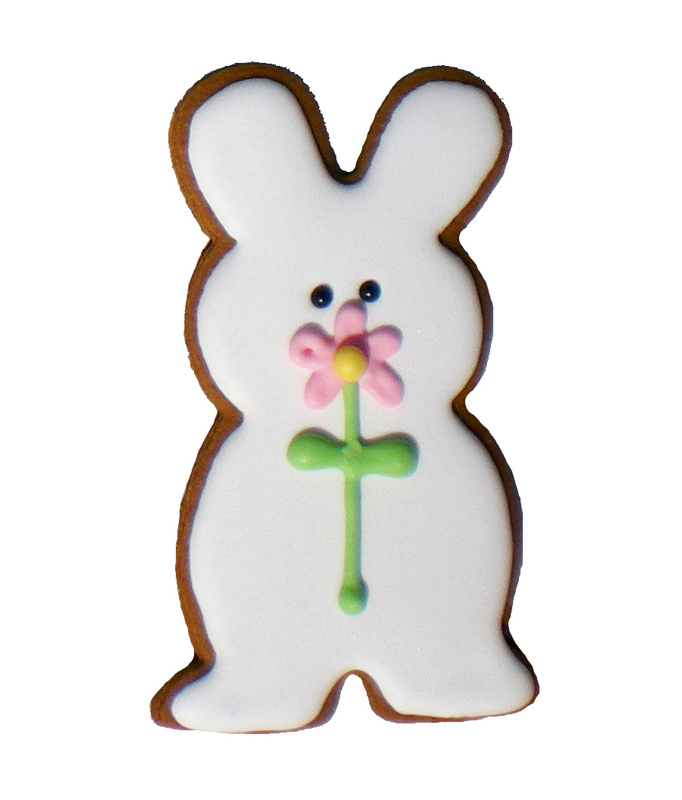 Above is my favorite bunny from one of my first bunny cutters. I've made him many times over the years. I always put a flower on his belly. He's supposed to look as if he's holding it - maybe someday I'll give him paws to hold onto it now that I know how to do it. 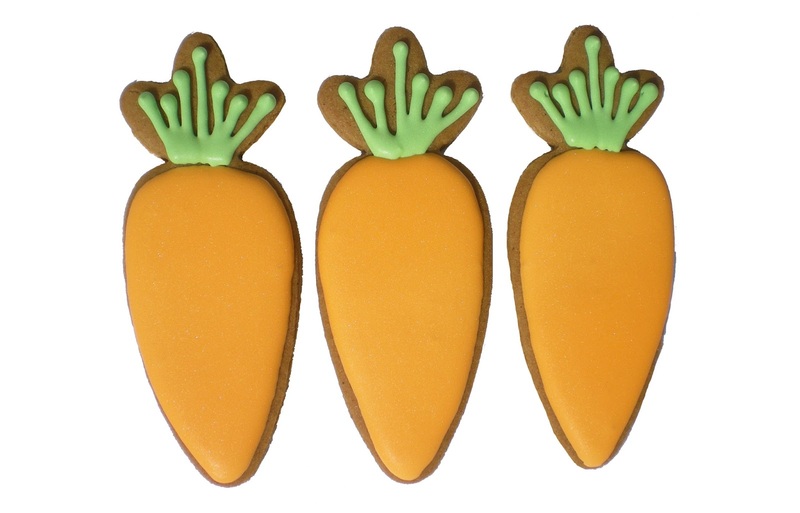 Below are carrots from another old favorite cutter. I think this was Hallmark. Did you know that bunnies like apples better than carrots? Better still they like our lawn! Jill and I made cookies the day before Easter last year and I only posted her bunny with a wreath around his neck. You can see it here. He was the best of the lot. Here from the archives of my computer are what else we did. This is another bunny I've had for a long time - he is BIG! And more belly flowers. I like to tie cookies up in cellophane bags for little gifts. This was fun with all the different cookies. 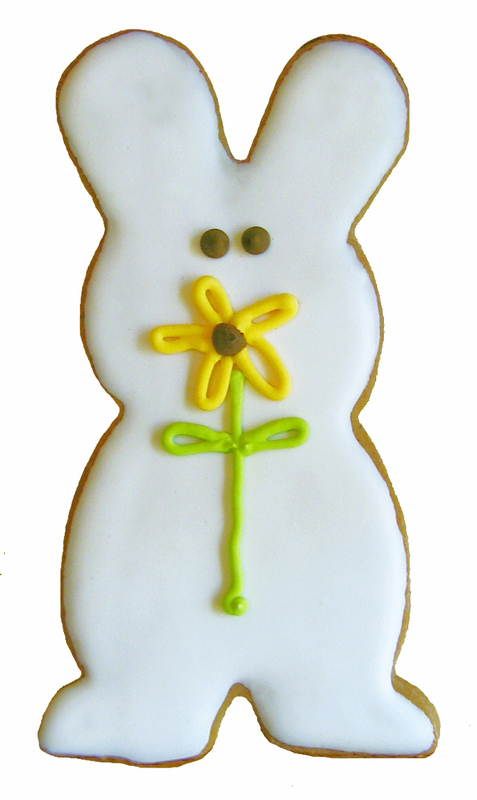 And here's that bunny again from a past year - with a yellow flower this time. I was spreading the flood icing on with a knife then - I hadn't learned how to pipe and fill and you can see the icing doesn't have as nice an edge. Also the icing for the flower is too thick and dry. More lessons learned! 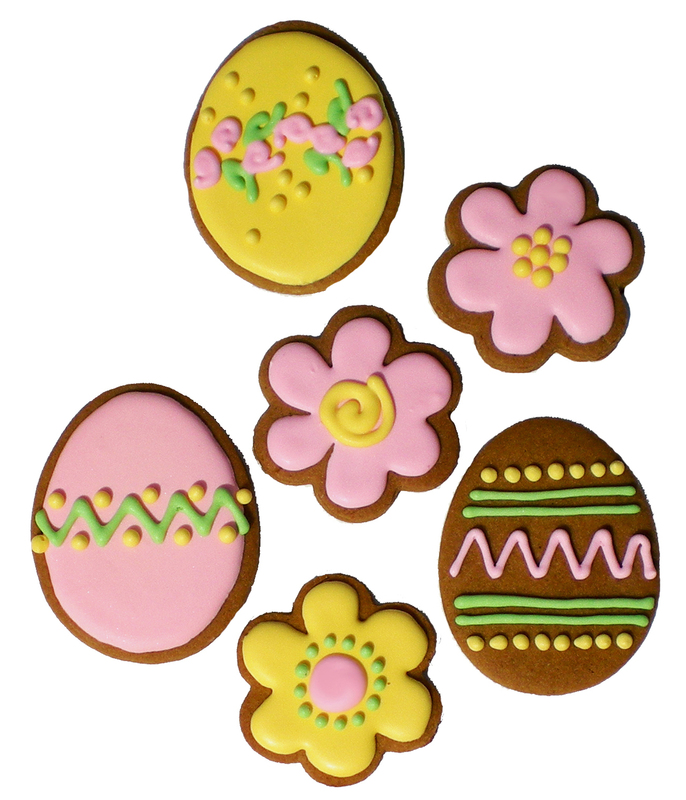 And be sure to check out Nina's Easter cookies from last year here and other posts here and here. 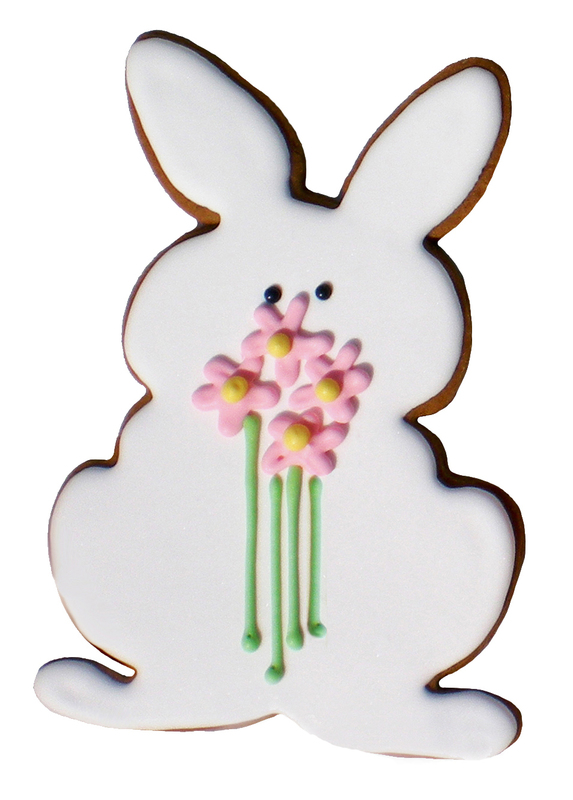 Happy Easter from The Ginger Cookie! Can you believe that I haven't seen some of these?! And it's always fun to see the family classics.